....to help me through this boring yet must do tasks of sorting, labelling and clipping (or stapling as some call it) all those fun looking papers! Grease loaf pan with butter. Sift flours and bicarbonate soda twice. Cream butter and sugar until creamy and pale. Add eggs one at a time into creamed butter-sugar mixture. Add in the mashed banana, vanilla extract and buttermilk. Add flours 1/3 at a time and mix well. Add last 1/3 flour and hand mix until well combined. Pour batter into the loaf pan and bake for 50-60 minutes or until skewer come out clean. A beautifully moist and extremely tempting cake! 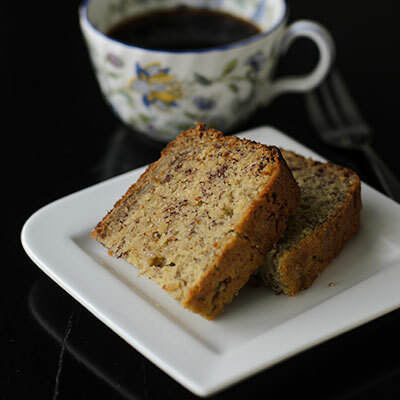 Nothing like a banana cake in the morning, I love the addition of spelt. I love mine with walnuts too! 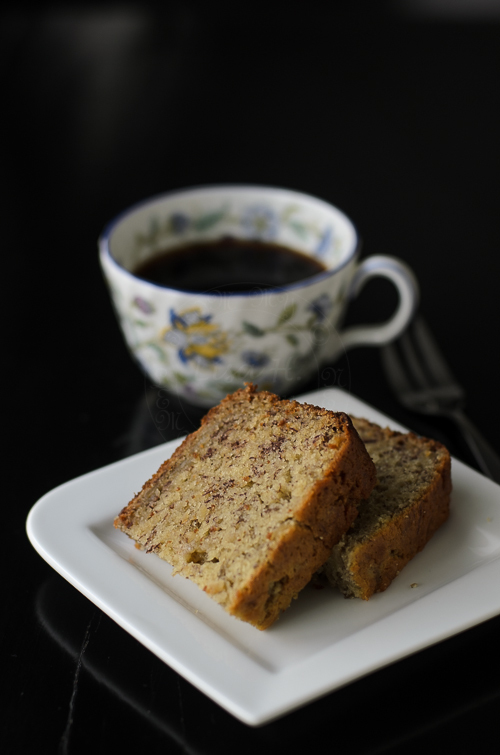 I spelt that this banana cake is really good. A tempting cake for me as I have never used spelt flour before. 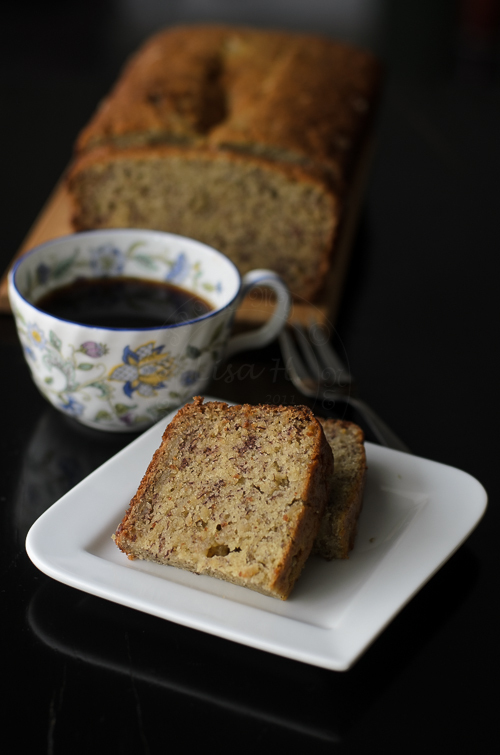 I am so happy to see this banana bread using my favourite grain spelt. It looks wonderful.